This is an investigative project for students to research specific food borne illnesses in depth and then visually showcase them. In class we just talk about the food borne illnesses and briefly discuss why they are bad so this lesson goes beyond the discussion. This also brings technology into the Family & Consumer Science classroom which students love! Introduce the food safety lessons with a game that shows how food borne illness can spread and/or a case study scenario. This project utilizes the Animoto, a website for making slideshow video presentations. Walk students through signing up for an account. *Note: Students work with the free Animoto segment for this project, however, educational accounts are available for a free trial for 50 students. Assign students a (food borne illness) to research. Use in class resources and the internet to fill in the information about your assigned food borne illness (FBI) on the “Most Wanted” form. Provide your email address for students to send their completed Animoto slide shows. Make sure they put their names in the message box so I know who created the Animoto. I give students about 3 days (43 min. periods)–one to intro FBI/project and 2 to work on project with a partner. If you have less time you can always have students work on and/or finish the project at home since all they have to do is log in. As far as the content for the Animoto slideshow, students use googled images. It’s best for students to create a folder to hold the pictures they think they want to use and then access them from there. Music is right on the Animoto site, the third step. 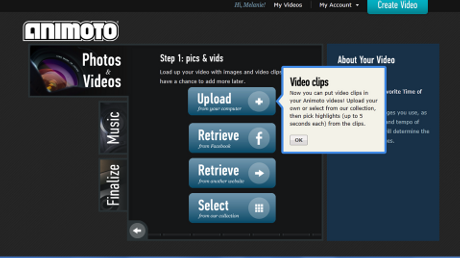 Animoto also has a whole library of songs but students can upload their own too, but may have to do it from home. Great Idea! I'm going to try this in the classroom! Thank you. I'm trying to make one and am struggling with the photos–do the kids have to have Food borne illness type photos already downloaded to FB or Twitter before they can make this? It is not letting me just go to google images for sample pictures–this was not a choice and I don't have these type of photos on my FB. I also would love to see an example!